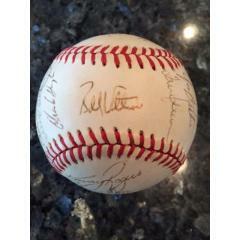 This is an official Rawlings American League Baseball (Pres. 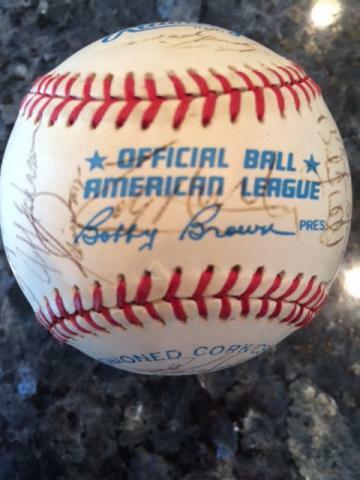 Bobby Brown) signed by 31 members of the 1990 Texas Rangers. 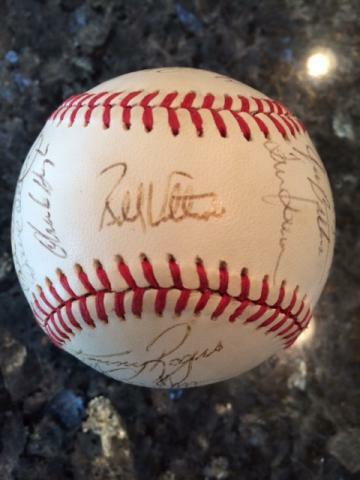 The ball and all the signatures are certified authentic, and comes with a Letter of Authenticity from James Spence Authentication as well as a signature worksheet to help you locate and identify player signatures. 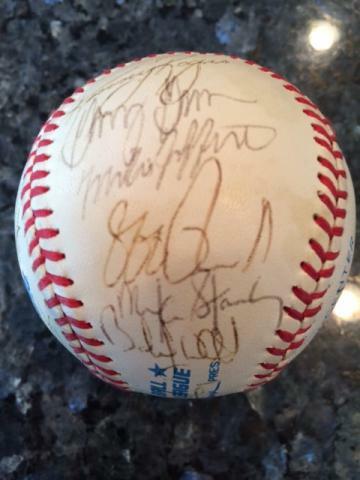 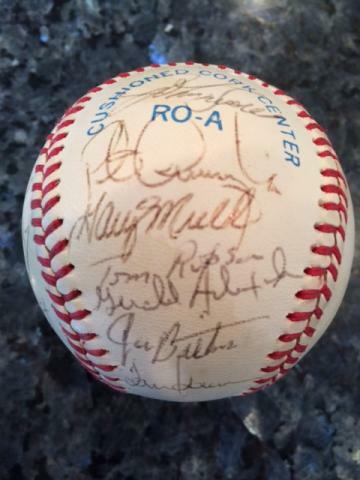 Every loyal Rangers fan will quickly recognize the names of the players who signed this ball, which would make a great display piece on any shelf or desk in your home or office. 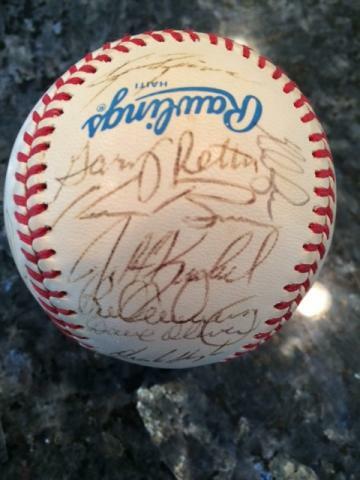 Buy it today for your collection before it is gone.